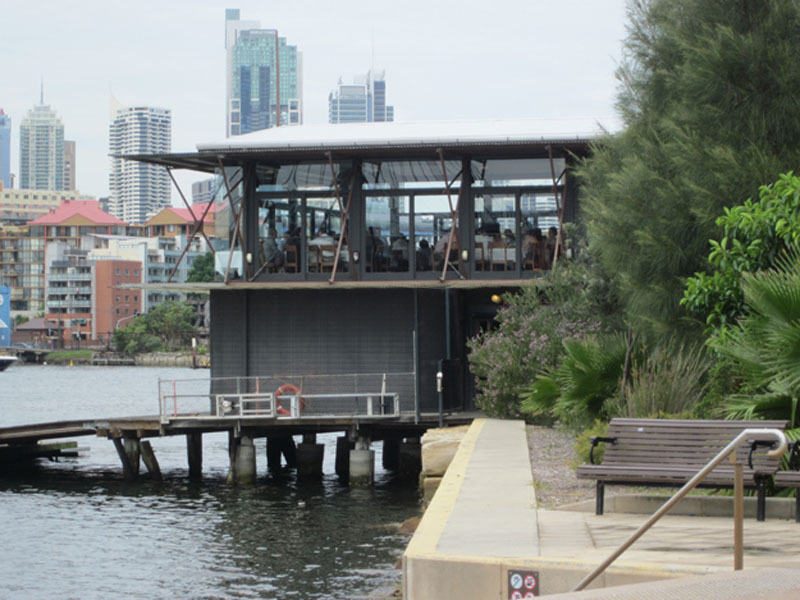 The Boatshed on the waterfront was once the Glebe Rowing Club, though not the original 1879 building, which burnt down and was replaced in 1956. The Boatshed on the waterfront was once the Glebe Rowing Club, though not the original 1879 building, which burnt down and was replaced in 1956. The Rowing Club lost their lease and were supplanted by the Sydney University Women’s Rowing Club, which subleases the upper part of the building to a fashionable and expensive restaurant. Glebe Rowing Club found a new site within the Blackwattle Senior College Campus next door (formerly Glebe High School) and built a new shed in 2005. The College stands on the site formerly occupied by the George Hudson timber mill, which experienced the first lockout of the Great Depression, in 1929. You may see rowing sculls from the boat sheds on the Bays, and sometimes dragon boats and kayaks that are stored on the opposite shore. 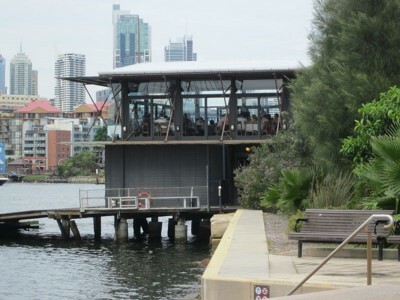 If you wish to return to Glebe Point Road, where there are cafes and buses, it is best to walk up Ferry Road from here. If you wish to continue, this Walk will take you to Bridge Road where you can catch the light rail from the Glebe stop, or continue to the Fish Markets.